The Tree House collection by Aussie designer Stefan Arifin is influenced by wood texture and blissful nature and would be perfect for those planning a Outdoor style event. This Invitations card from the larger Tree House set looks great when printed using digital and here at Paperlust we think it looks best on paperlust kraft. I am simply amazed by the amazing appearance of this wedding invitation. 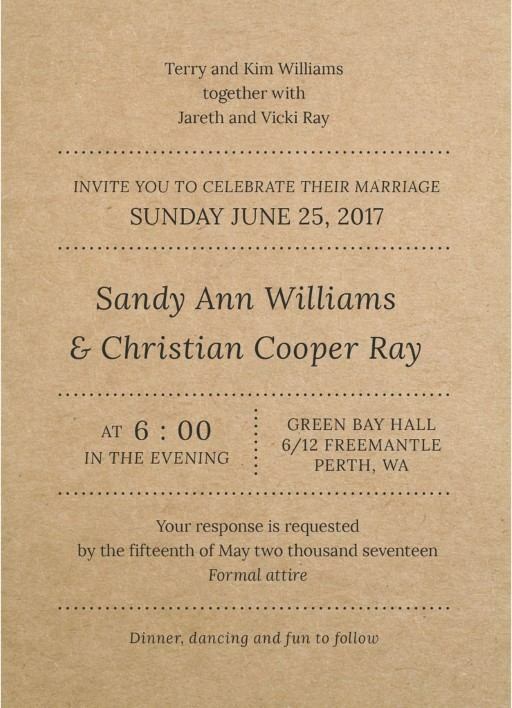 One of the first things that attracted my attention and my appreciation was its wooden texture, which makes this invitation look very distinct and original. I consider that the fonts used are very stylish and elegant, giving a personal feeling to this invitation, and creating harmony with the texture.